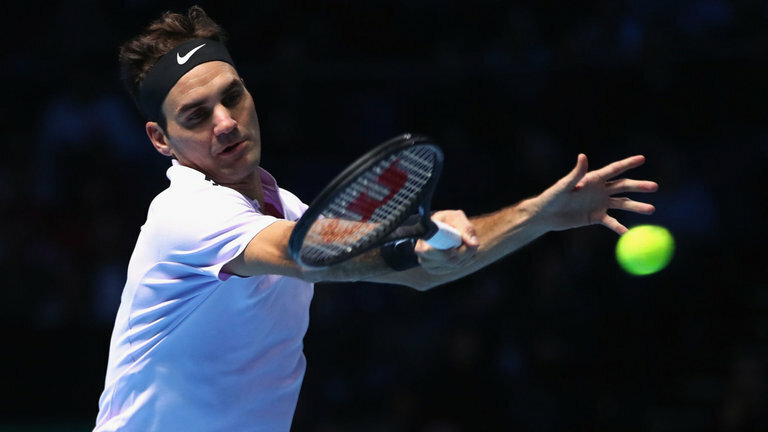 Roger Federer says he does not regret passing up the chance to topple great rival Rafael Nadal from the top of the world rankings at the ATP Finals in London this week. It could be argued the 36-year-old Swiss has enjoyed a marginally superior year to the Spaniard, having won seven titles including the Australian Open and Wimbledon. But Nadal, winner of the French and U.S. Opens, was guaranteed finishing the year as number one for the first time since 2013 after Federer withdrew from the Paris Masters to rest his body. Nadal was presented with the year-end award immediately after Federer began his quest for a seventh ATP Finals title by beating Jack Sock 6-4 7-6(4) at the O2 Arena on Sunday. “He was better throughout the year. He played more tournaments. He was incredibly successful throughout. So, I don’t have any regrets because I feel like in my stage of my competition, my age, either it comes to me or it doesn’t,” Federer told reporters. “He had more gas left in the tank than I did. I couldn’t play as much as I’ve wanted. My only regret was I would have loved to be in contention through the Montreal finals, Cincinnati, U.S. Open,” added Federer, who struggled with a back injury during the North American hardcourt swing. “But things evaporated very quickly after he (Nadal) won the U.S. Open. That’s when he made his final push. While 31-year-old Nadal, who plays his first match on Monday against David Goffin, is the oldest end-of-year number one, Federer is the oldest to finish number two. “In some ways I’m happy he clinched it because he deserves it. And like this, I can focus on playing the tournament, and not having to talk about that at the same time,” Federer said. After proving his fitness with a close-fought victory over Sock, Federer, who has not won the ATP Finals title since 2011, will also face newcomer Alexander Zverev, the world number three, and Marin Cilic in the Boris Becker Group. “I’m happy that I was able to come out today and had actually good energy,” Federer, the oldest man to qualify for the ATP Finals since 1970, said.